> What does Manna Gum Do? > Who is Manna Gum? Promote understanding of the ways our economic lives impact upon ourselves, others and the earth. Manna Gum is motivated by a vision of renewal of the Church in Australia as an alternative community that witnesses to the Kingdom of God. What does Manna Gum do? Manna Gum’s core work is essentially communicating, in various ways, about the implications of the gospel for the way that we live. We are keen to build connections with individual churches and groups, so please contact us if you would like us to come and speak to your church, group or organisation. We do not charge any fees for speaking, however, if there are costs involved (travel or materials), we may ask for costs to be covered. Below is a summary of some of Manna Gum’s main work. Three times a year, available free by post or email, Manna Matters is Manna Gum’s primary communication tool, including articles on Bible & economy, aid & development, understanding the times and home economy, as wells as news about Manna Gum, notices of upcoming events, and the odd recipe. Contact us if you would like to go on the mailing list. See previous editions of Manna Matters. A weekend of fun and sharing recovering some of the lost arts of productive home economies: bread making; soap making; bottling and preserving; cheese making; pasta making; soap making; caring for soil; growing fruit trees; and more! Check website (What’s On?) for details. A week exploring Christian alternatives in areas of money, employment, consumption, sustainability, family, community, care for creation and serving the poor. The week is hosted by the Seeds Community in the the Bendigo suburb of Long Gully. Check website (What’s On?) for details. 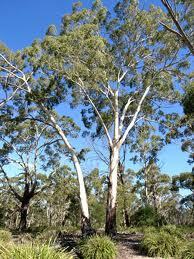 The Manna Gum (Eucalyptus viminalis) is one of the iconic eucalypts that thrives throughout much of southern Australia. It is perfectly adapted to live within this land – something which we still need to learn (both physically and spiritually). The Wurun Djeri people, the main tribal group from the Melbourne region, take their name from the word wurun meaning Manna Gum (Eucalyptus viminalis) which is common along the Yarra River (Birrarung), and djeri, a grub found in the tree. Manna Gum leaves play a central part in the 'Welcome to country' ceremony of the Wurun Djeri people. The leaves of the Manna Gum are also a favourite food of koalas. The Manna Gum was so named by Europeans after the manna the ancient Hebrews collected in the wilderness (Exodus 16), because it produces a sweet, white edible gum. The Biblical story of manna provides one of the foundational lessons in God’s economics: collect what you need; none shall have too little; none shall have too much; don’t store it up; there is enough for all! Manna Gum began in 2009 and is the initiative of Jonathan & Kim Cornford. The creation of Manna Gum wasthe culmination of the previous ten years of their life working and campaigning on development issues in Laos and Cambodia, working with the homeless and drug dependent in Melbourne, leading Bible study and exploring Christian expressions of responsible living in the inner city. Jonathan has a Ph.D in Political Economy/ International Development; Kim has an Honours Degree in Economics and Diplomas in Sustainability and Conservation and Land Management. 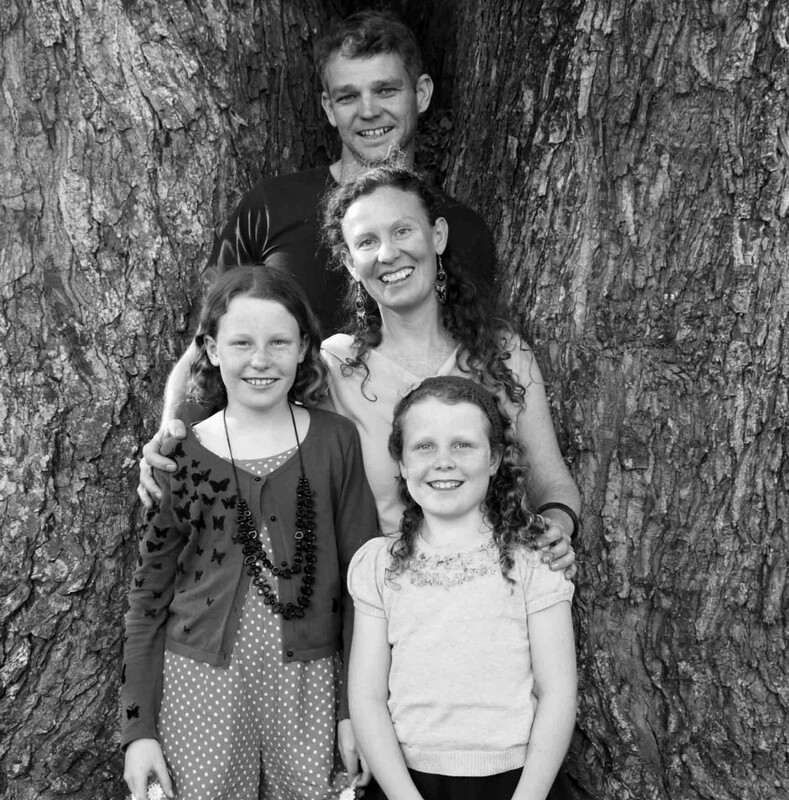 Kim and Jonathan now live in Bendigo, Victoria, with their two girls, Amy and Mhairi. They are members of the Seeds Community and St Matthews Church, and also belong to the Common Rule Christian network. Together Jonathan and Kim share 4 days of work (3 days paid) for Manna Gum. Manna Gum also receives the unpaid assistance of a host of other friends and volunteers. Greg & Elvira Hewson join Kim and Jonathan on the Management Committee of Manna Gum, and have been a central part to forming its vision and guiding its direction. Greg is the Victorian State Coordinator for TEAR Australia and Elvira works in implementing community gardens and native tree growing. 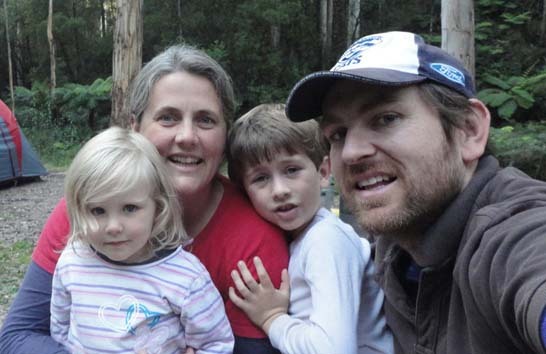 Greg & Elvira live in Manna Lane, Cudgee, in western Victoria, with their two children Patrick and Mairead. The Manna Gum Advisory Council provides periodic advice, support and accountability - both professionally and pastorally - for the work and ministry that is undertaken under the auspices of Manna Gum. The Advisory Council is currently made up of Deborah Storie (Chair of the Board, IAM Afghanistan), Peter Chapman (Director of Common Life), Dr. Ian Barns and Rev. Simon Holt (Minister, Collins St Baptist Church). Manna Gum seeks to live within the economy of God - frugally, ethically and through the generous sharing of abundance within the community of faith (2 Corinthians 8 & 9). Are we crazy?! Quite possibly, yes. But we are also sustained by the conviction that the great secret of God's economy is the presence of abundance where the world only sees scarcity. This is the meaning of the manna in the wilderness (Exodus 16), the feeding of the five thousand (Mark 6:30-44), and the Jerusalem community of the early church (Acts 4:32-37). In all these instances, the revelation of abundance takes place within the context of the community of faith. Transparency. Give supporters clear information (annually) about the income of the organisation, how it was spent, and what income was derived from it. A Living wage. The income we derive from Christian ministry should not be based upon market rates but on what is 'enough' - enough to support a modest and frugal living for an Australian family. Currently this has been set at $476 per week. No speaking fees. We take seriously Jesus' command to his disciples: 'You received without payment; give without payment' (Matt 10:8) - the gospel is for free! Moreover, we are determined to resist the drive to commodify relationships through the mediation of market-based transactions. No public recognition of donors. We are greatly blessed and humbled by all those who contribute support to this ministry. Such giving is an important part of God's economy, and so we take seriously Jesus' strict instructions that giving be done without acclamation (Matt 6:1-4). This report provides a brief description of Manna Gum's work for the previous calendar year, including a financial report which shows our income and income sources, and expenditures.